The Presbyterian Church of the Resurrection (PCR) Food Pantry has had another busy and active year. We were able to implement a Federal program called the Temporary Emergency Food Assistance Program (TEFAP) this year starting in October. This program has greatly improved the Food Pantry’s ability to feed more people in need of food assistance and is based on the family’s financial eligibility. This has increased our ability to capitalize on the purchasing of food at a reduced cost, thus enabling the food pantry to assist more people and provide more food to each family. The PCR Food Pantry has served hundreds of families and thousands of individuals. There has been a steady increase of people in need of the food pantry’s services. PCR depends of donations from people of food and/or money to help with this ministry. However, the main source of procurement of food for the pantry is through the Atlanta Community Food Bank (ACFB). 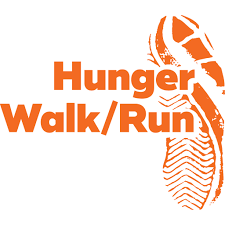 The more funds we raise through our participation in the 5K Hunger Walk /Run the more food we can purchase, and the more people we are able to help. The Hunger Walk/Run gives us the money that we use to purchase food from the ACFB at a discounted rate. We can purchase food by the pound from the ACFB on average of about 9-10 cents per pound. That is much cheaper than we can purchase food from anywhere else. We have consistently increased (and met!) our goal each year.